This TA Technix sport suspension kit is for the Alfa Romero 155 type 167 from 1992-1997. This TA Technix sport suspension kit is for the Alfa Romero 159 station wagon type 939 from 2006-2011. This TA Technix sport suspension kit is for the Alfa Romero 159 Sedan type 939 from 2005-2011. This TA Technix sport suspension kit is for the Alfa Romero 145/146 from 1997-2000. This TA Technix sport suspension kit is for the Alfa Romero GT type 937 from 2004-2010. 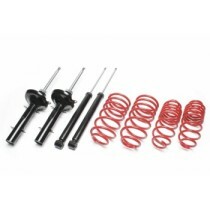 This TA Technix sport suspension kit is for the Alfa Romero 147 type 937 from 2001-2010. This TA Technix sport suspension kit is for the Alfa Romero 156 station wagon type 932 from 1997-2005 without the sports version. This TA Technix sport suspension kit is for the Alfa Romero 156 Sedan type 932 from 1997-2005 with and without sport version. 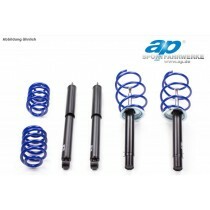 This TA Technix sport suspension kit is for the Alfa Romero Mito type 955 since 2008. 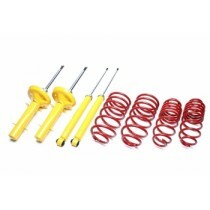 This TA Technix sport suspension kit is for the Alfa Romero 145/146 type 930 from 1994-1996.